North Fulton Feed & Seed is your one-stop shop for all your poultry needs. 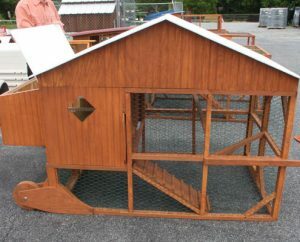 We sell top poultry products including Faithway Feed, Nutrena Poultry Feeds, Purina Poultry Feeds, and Southern States. Our wide variety of feeds are meant to keep your backyard chickens healthy from birth. Get in on the latest fad of growing your own food in an urban environment. Backyard chickens! 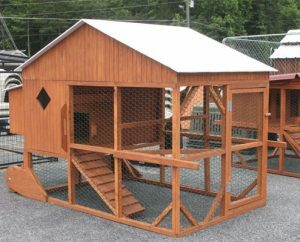 North Fulton Feed and Seed sells baby chicks and all the equipment for you to begin raising chickens in your own backyard. You don’t have to have a farm or a lot of acreage to enjoy having chickens and fresh nutritious eggs. Stop by for feed for baby chicks and full grown chickens. 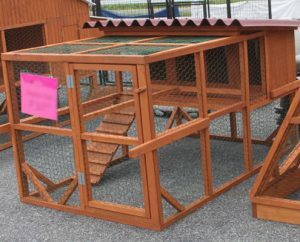 Find all your chicken supplies including chicken feeders and waterers. Let your chickens free-range for healthier hens and more nutritious eggs. One study showed free-range or pasture-raised chicken eggs have four to six times more vitamin D, three times more vitamin E, two-third more vitamin A, and seven times more beta carotene. They also have two times more omega-3 fatty acids, a firmer texture and superior flavor. Stop by and let our experts show you how to get started. 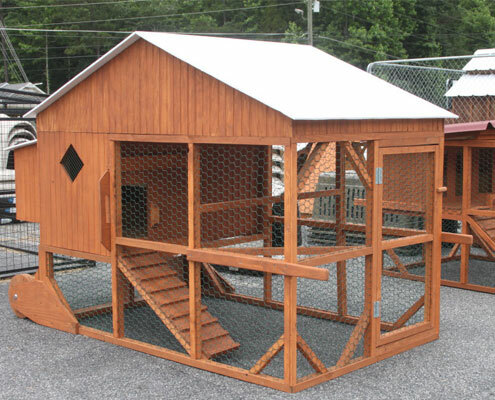 We have all the supplies you will need along with custom chicken coops that are stylish enough for even Buckhead! We have chicken coops for all size flocks. They are custom designed for North Fulton Feed & Seed and available only at our store in Alpharetta, GA and our sister store, Cherokee Feed & Seed in Ball Ground, GA. Many of our chicken coops are built on wheels so that you can move the hen house to new locations in your yard. 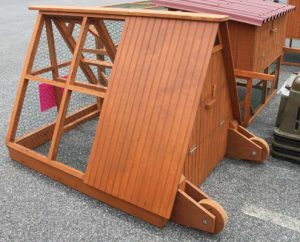 Our coops are hand-made from quality materials and they have sealed roofs with a rubberized coating. The nesting boxes have doors to make for easy retrieval of eggs. Your children will love collecting and eating the eggs. Your chickens can free-range in complete security and safety in our custom chicken coops.